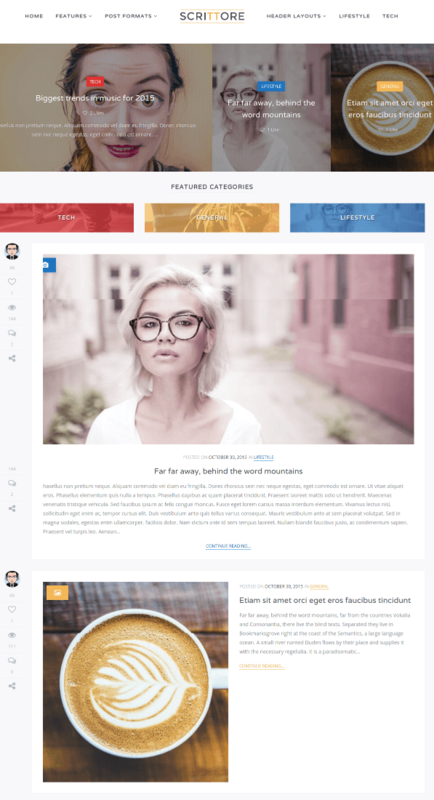 Scrittore is an elegant WordPress theme suitable for personal blogging sites. 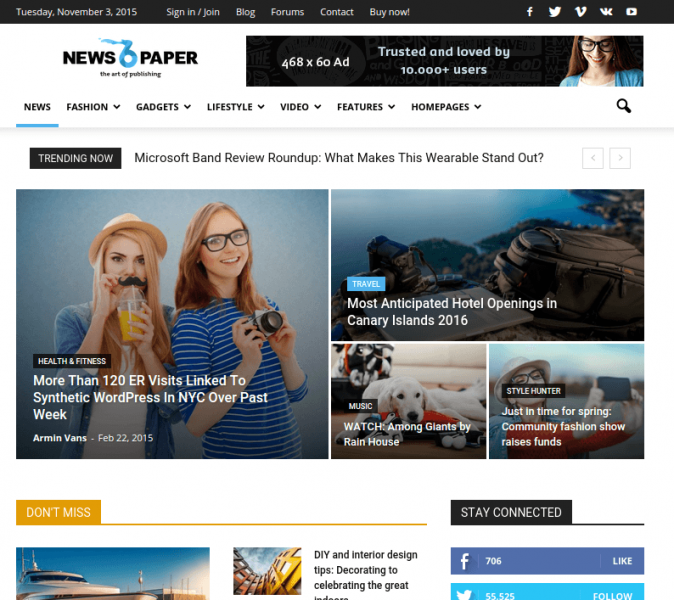 It is a well documented theme that will guide you in building site with it, also it is responsive and retina ready hence it can easily adapt devices ranging from desktops, laptops, tablets, mobile phones to iPads, iPhones. 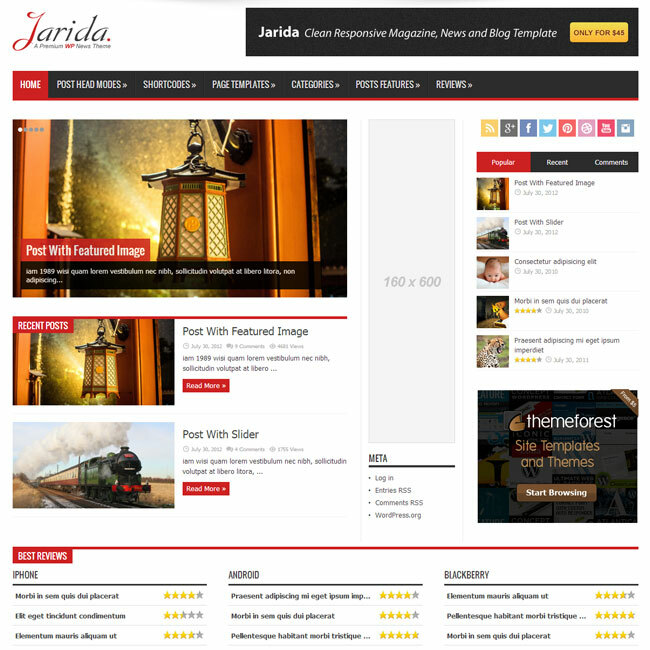 On activating this theme you get theme options panel which has lot many powerful settings to choose and customize site with few clicks without any knowledge of programming. 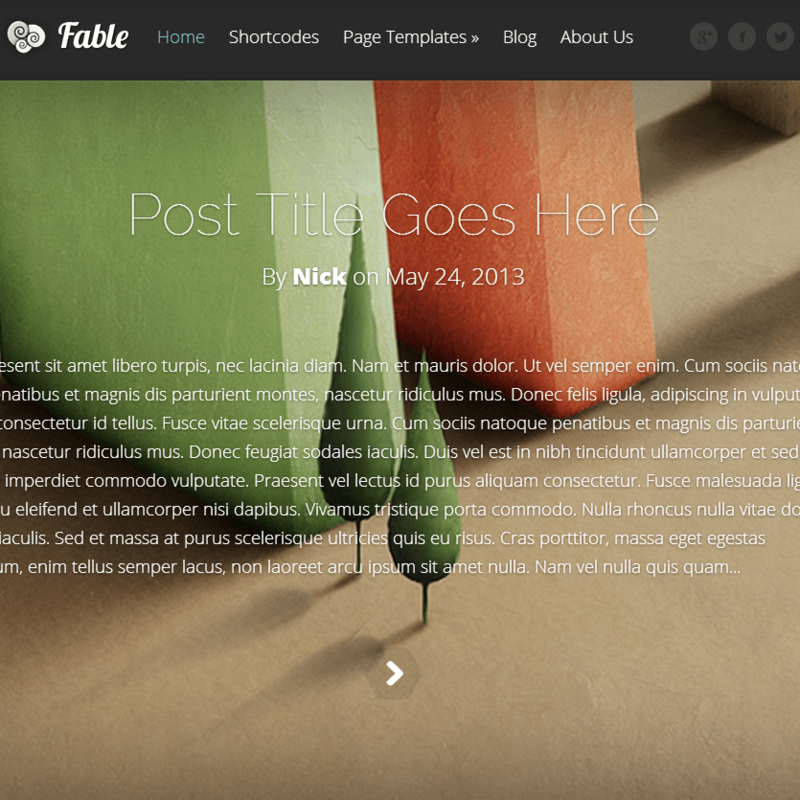 This theme provides you 3 different header layouts. Post formats like Image post, Slider gallery post, Grid gallery post, Quote post, Audio Post, Soundcloud post, Link post, Video post are supported. It has powerful theme options panel powered by Redux Framework. Supports built in mega menu, built in review system which allows you to add reviews with unlimited criterions, 2 styles and positions. Supports 10+ widgets, like and view system, breadcrumb navigation, etc. It comes packed with demo content that too with one click importing facility. This theme is a good one. It could be more better also but enough for developers with less expectations. 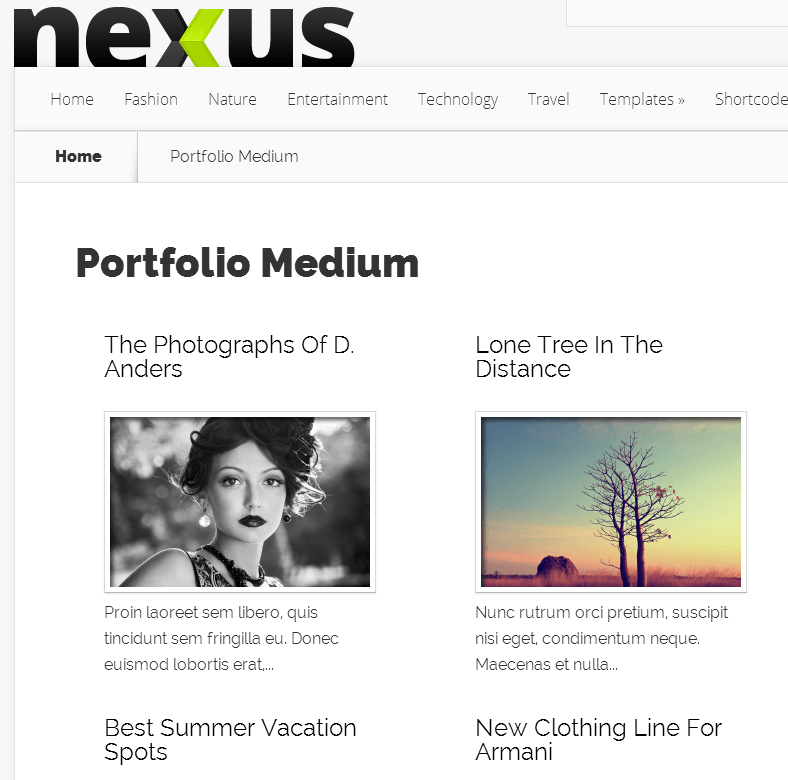 Modern Layout WordPress theme for Bloggers and Magazine websites. 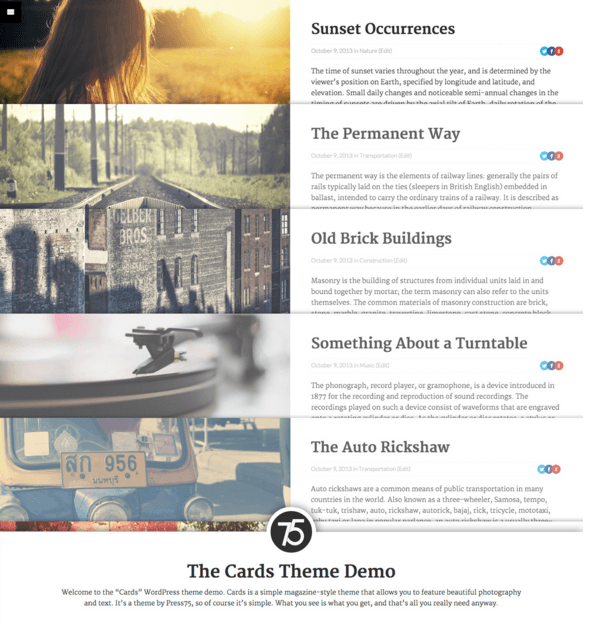 Elegant, Clean and Creative WordPress Blog theme.